Need something to do this Valentine’s Day? 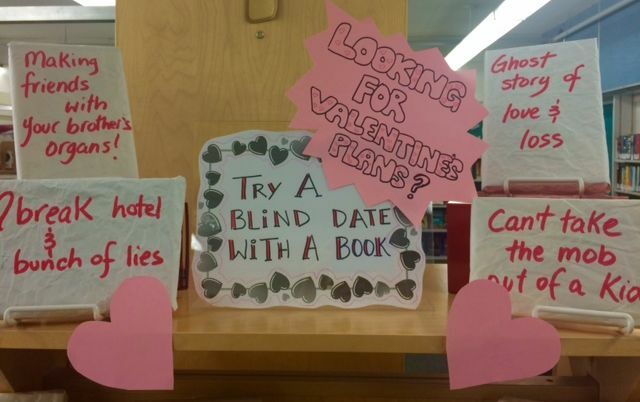 Come by the library and try a blind date with a book. 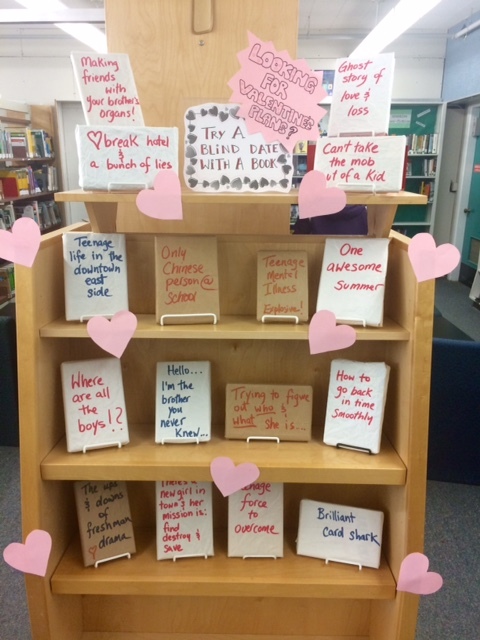 You might be thinking, “What’s a blind date with a book?”… Well, we have wrapped up a number of our most popular titles and the only way you can pick your “date” is by the few word description on the front. Now you quite literally can’t judge a book by its cover. You just have to go with your gut and make a split second decision about whether or not the book is right for you. Let us know if your date is a dud, or a complete hit! Check out some readers finding out the true identity of their blind date books in the video below.